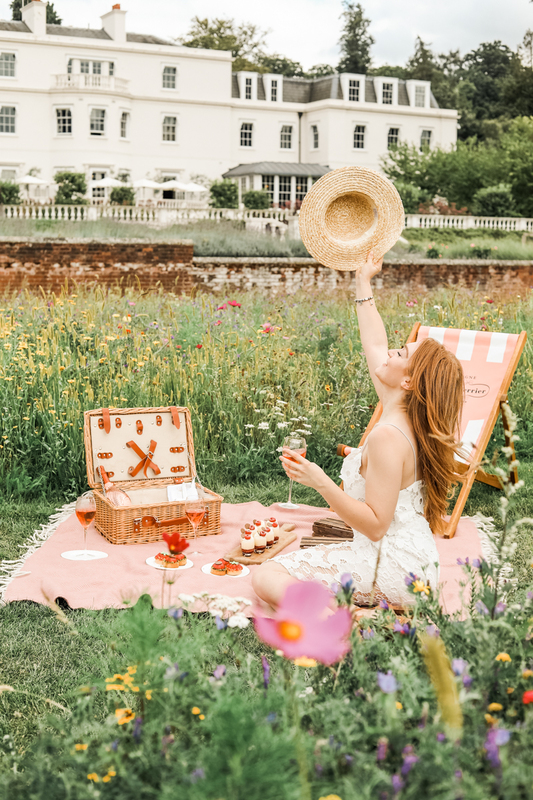 Does Coworth Park host the most luxurious picnic in Britain? Here in Britain, we aren't exactly blessed with good weather often. So it was quite strange finding ourselves with weeks upon weeks of scorching sun. I think we forgot what rain actually was. So true to classic British nature, we went out in droves with our picnic baskets and rugs under arms. However picnics really do range in quality. From soggy tin foil wrapped sandwiches, all the way up to bone china plates in whicker baskets. However I don't think anything quite compares to the Michelin starred restaurant food and champagne picnic at Coworth Park. 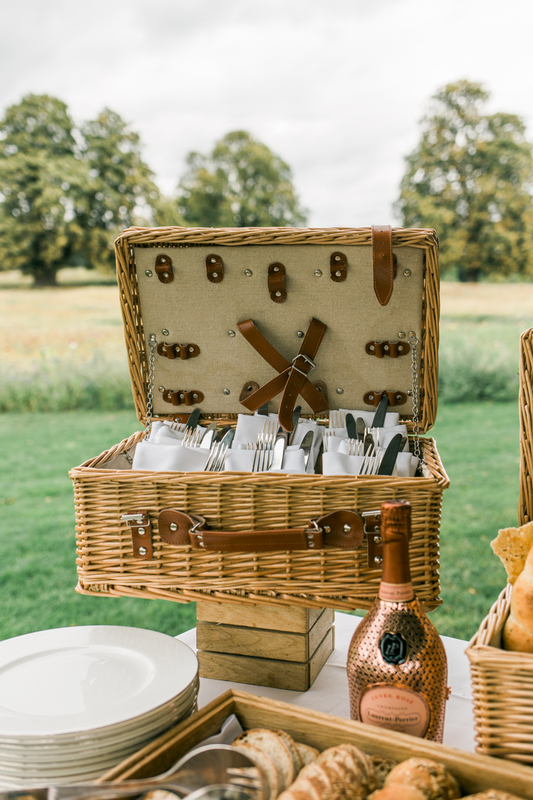 It is quite possibly the most luxurious picnic in Britain. Coworth Park is one of the most glorious country hotels I've ever laid eyes on. Sitting in 240 acres of unspoilt countryside in Ascot, it's a classic but modern country hotel. Every inch is luxurious but made for relaxation. I even found walking into the lobby gives that same feeling as when you step into a spa. Of course you'd expect nothing less as it's from the world renown Dorchester Collection. 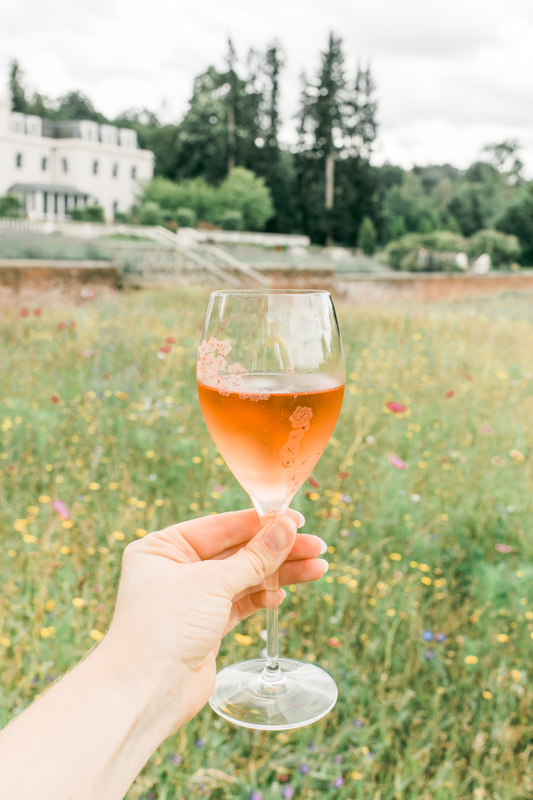 One of Coworth Park's iconic features is it's flower meadow made up of a stream of pink, yellow and purple wild flowers, and that's where their picnic would be held. 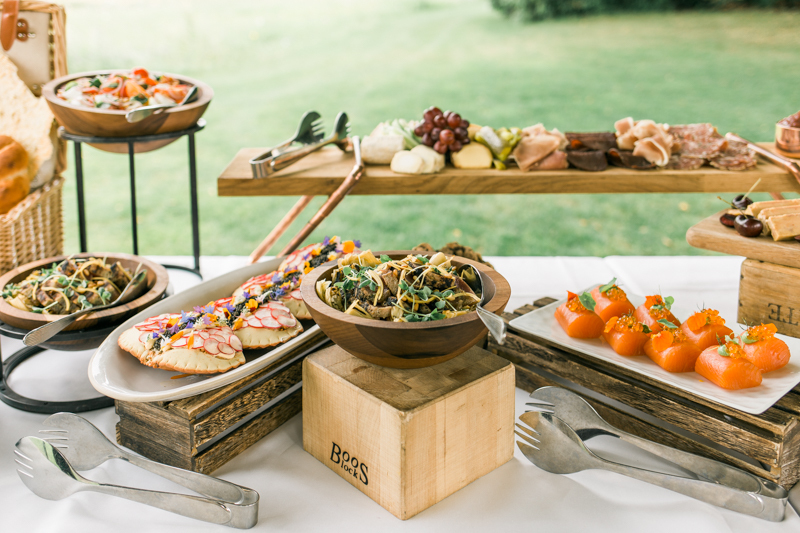 But unlike most picnics which come stuffed into a basket, this was something quite different. 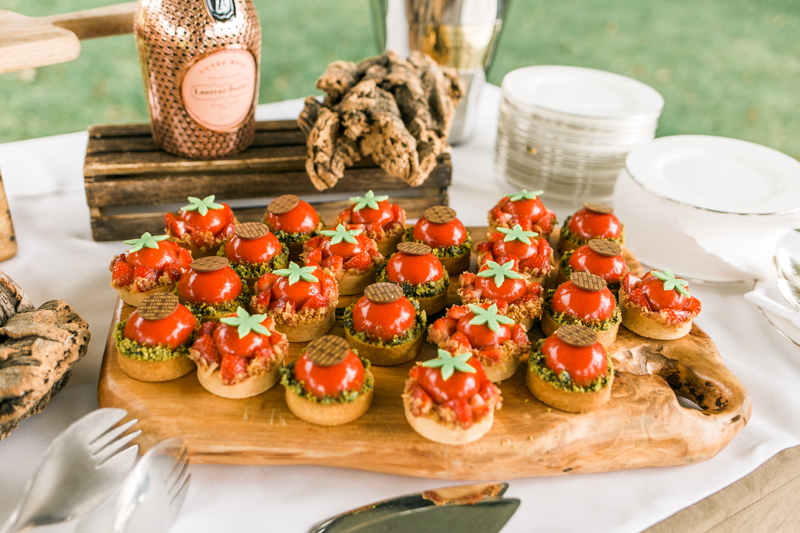 Laid out under a gazebo was a spread of the finest foods from Michelin starred restaurant, Restaurant Coworth Park, headed by executive chef Adam Smith and an abundance of Laurent-Perrier Cuvée Rosé champagne. 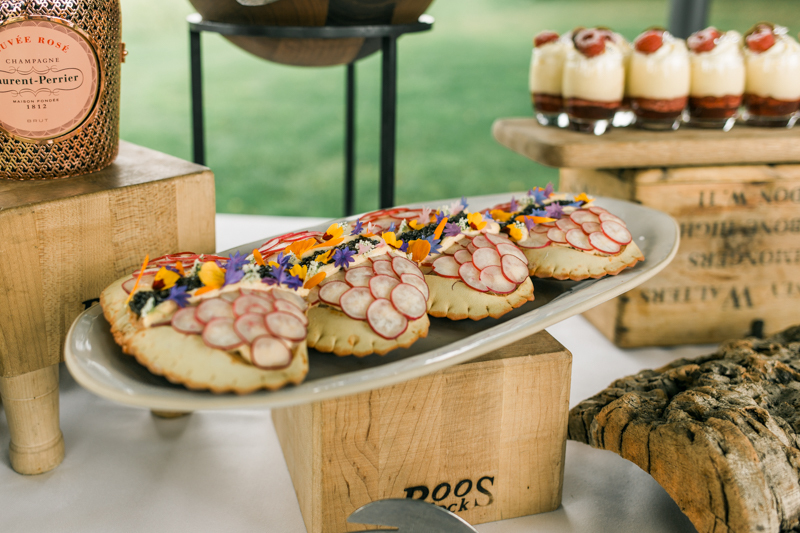 The most beautiful display of bowls, plates and stands of luxurious food. 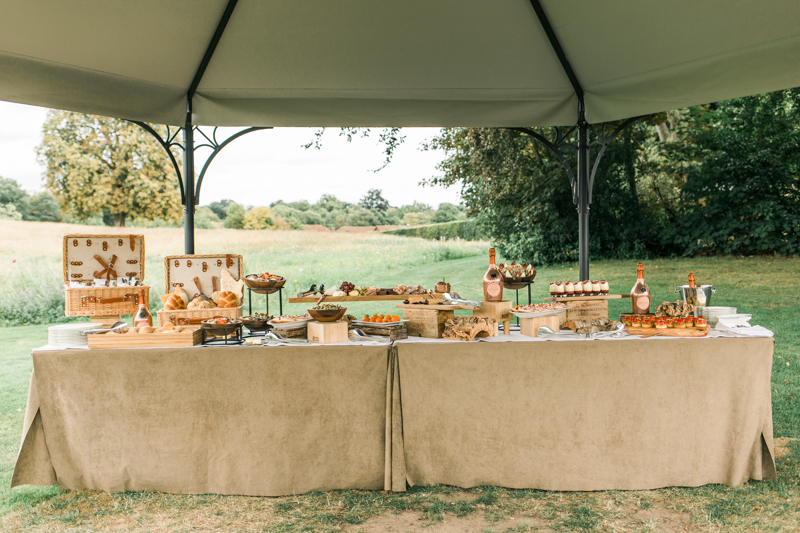 From freshly baked breads in every variety a bakery could offer, to Mediterranean salads, cold cuts of meat, a selection of fine cheeses, fresh salmon, pate, rare steak and the crowning jewel, crab dressed with caviar. Of course, we can't forget about dessert! Bakewell tart is quite a common appearance at picnics, usually in the form of a Mr Kipling slice. But oh not here. Here it's a dessert worthy of a Michelin Starred kitchen. Beautifully decorated, it's a work of art. Then of course there's the strawberries and cream jars in little glass tumblers. Everything is of the finest quality and ingredients. 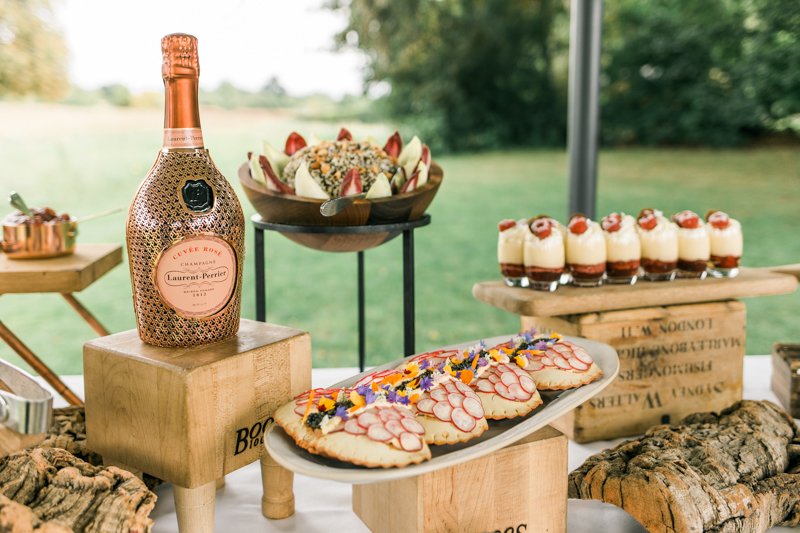 But what really makes a picnic luxurious is champagne. Laurent-Perrier Cuvée Rosé Champagne is celebrating their 50 year anniversary since it's launch in 1968. It also happens to be my favourite champagne too! 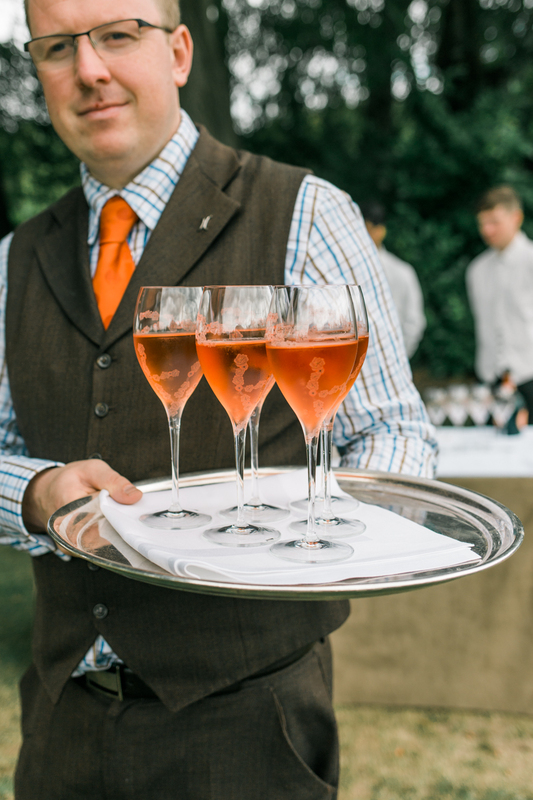 Laurent-Perrier Cuvée Rosé is the most glorious champagne. Sweet but not so much that it's too much. In fact it's a champagne that I find very drinkable indeed. It's perfect for summer days, although to be honest, it really is just perfect in any situation. 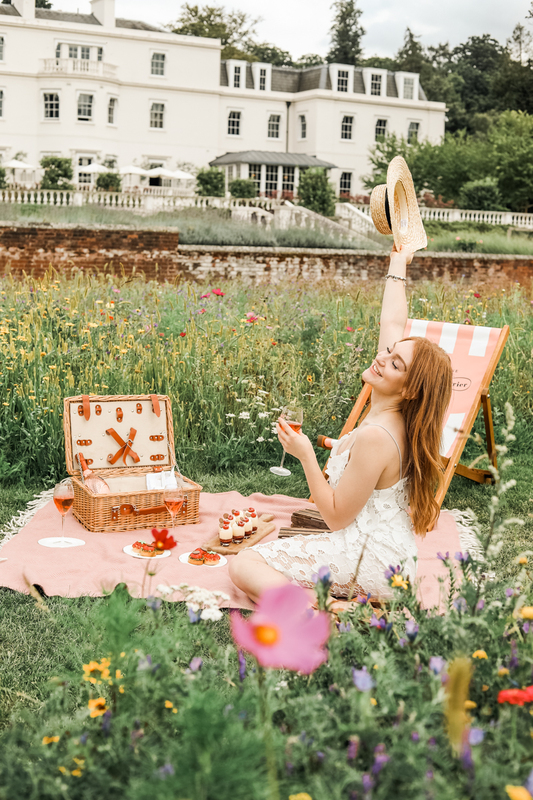 The picnic came with proper tables and chairs to sit at to save any unwanted grass stains that are often a staple at picnics, however sometimes even with the most luxurious of picnics, traditions have to be kept, and so a picnic rug was laid out amongst the flowers. Although table or in this case, rug service is a new picnic tradition I'm now fond of. With the weather glorious, the champagne flowing and stomaches certainly satisfied, it truly was the most amazing picnic I have ever attended. 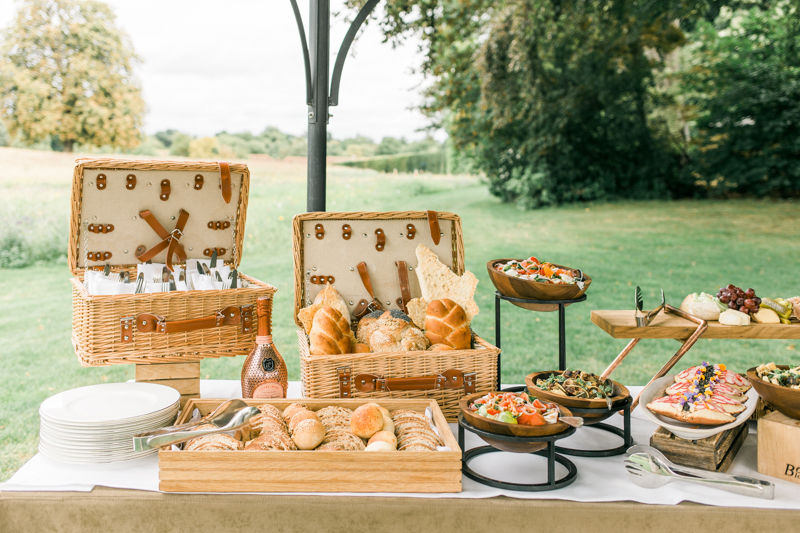 Coworth Park is an incredible place, and they certainly know how to through a picnic and make you feel very special. 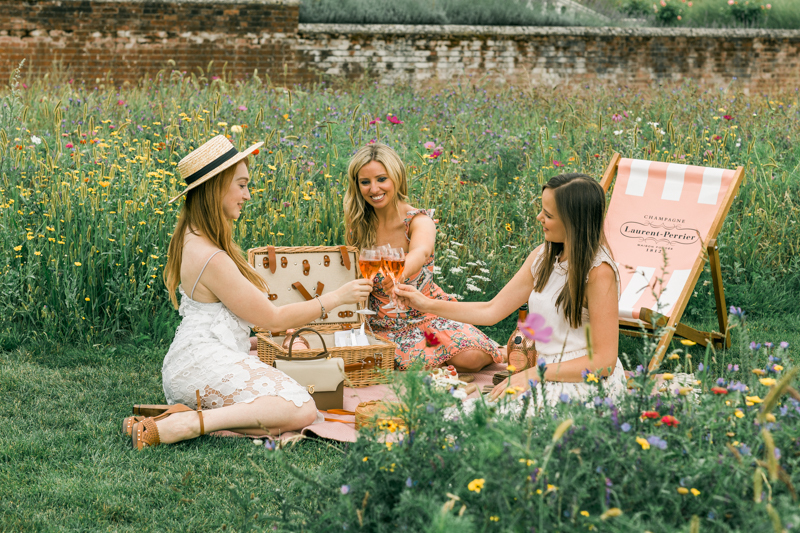 Is this Britain's most luxurious picnic? I'd say so. Wow I don't think any other picnic will ever get close to that!